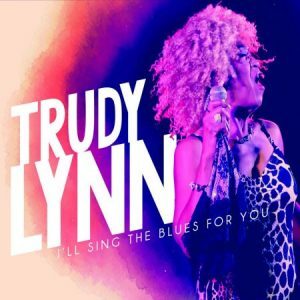 Trudy Lynn is a fantastic blues singer whose presence on the music scene spans over five decades. She joined forces with Steve Krase and Connor Ray Music i n her hometown of Houston in 2014 and began writing songs and choosing covers that fit in with her original music and now has produced her third album with them. Born Lee Audrey Nelms 68 years ago, she grew up in her Mom’s beauty shop down the street from the Club Manatee in Houston where she listened from outside the venue to the likes of Joe Hinton and Bobby “Blue” Bland. She sang in high school and then in clubs singing R&B, soul and blues for years but was unable to sign a good recording contract. In the 1980’s Ichiban Records was stood up in Atlanta and gave Trudy her first real recording success. She toured the world for many years singing at major festivals and now for the last feww years she has focused on her career with Connor Ray Music. Trudy notes she lost her son in 2015 and Steve Krase and Connor Ray Music helped her get through those tough times. Featured on the CD with Trudy are Steve Krase on harp, David Carter on guitar, Terry Dry on bass, Randy Wall on keys and Matt Johnson on drums. They offer an explosive backing to this dynamic and seasoned vocal powerhouse. I got to meet and hear her at the Blues Blast awards where she was nominated several times and now she has been nominated for a BMA. She is the real deal! She opens this set with the jumping “Alright Baby,” a Big Mama Thornton cut that she and the band just blow away. It’s a big, driving cut and a super opening for the album. Krase blows some mean harpp as Lynn gives a fine performance. Lowell Fulson’s “Black Night” takes the tempo way down for a fine, slow blues . As she sings it’s a if shes stirring a big old pot of emotions for us to savor. The guitar solo and work is sultry and suave; very tastefully done as is the piano work. Lynn’s original cut follows; “Thru Chasin’ You” starts off with a little funkiness and Krase punching out some nice harp. The organ, piano ad harp all support things nicely as Trudy tells her man off. It’s a great cut. Mel Tillis’ 1957 “Honky Tonk Song” gets a gutsy and fun cover. 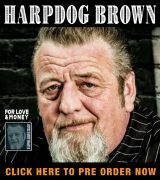 This country tune has been also done by the likes of Koko Taylor as far back as 1963. This is a fantastic version with Lynn and Krase playing the major protagonists. Memphis Minnie’s “World Of Trouble” opens to some stinging guitar licks and then Lynn some in with her sultry delivery. She grinds out the lyrics with great gusto. Krase and then Carter both deliver super solos, too. “Ramblin’ Blues” opens the second half of the album. It’s a Big Maybelle tune that Lynn delivers in a big way. Wall’s organ and piano work stands out as Trudy, David and Steve trade vocal , guitar and harp licks. Alma “The Lollipop Mama” Mondy’s 1949 “Still My Little Angel Child ” gets dressed up nicely by Trudy and the band. This version is a little more bouncy and fun, with Krase’s harp replacing the sax and Carter’s guitar is a bit more prevalent and well done. Wall’s piano also helps to move things along well and he gets a nice solo to boot. Little Esther’s “If its News To You” gets a fresh cover. Trudy takes a sassy approach to this similar to Esther. Carter’s guitar licks are all over this one as the rest of the band bounce and bop along with this fiery and fun song. Wall gets another sweet solo with his honky tonk piano and Lynn delivers a hot performance. “Kissin’ In The Dark” follows, a tune made famous originally by Memphis Minnie. Lynn sings about how sick she and some friends got sick or in trouble by kissin’ in the dark. Johnny Copeland’s great “Down On Bended Knee” get’s turned down a few notches with this more soulful take by Trudy. Krase offers a cool and restrained solo as does Carter on guitar. They make this work nicely as a slower blues. giving it their own spin. I’ve enjoyed Trudy’s work over the years and with Connor Ray Music she is in a great place. I strongly recommend this one ! 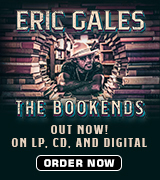 This is a super soulful blues album with a fantastic singer and great band. If you like sassy and soulful blues, then go no further- this album has some great interpretive stuff that Lynn and company deliver in their own way.